(6 April 2018) Sport for Development (S4D) is an intervention which can potentially deliver positive impact on children’s well-being. However, with little coordination between S4D organisations and a lack of rigorous evidence proving its value, there is a vacuum of concrete information and lessons learned in the sector. 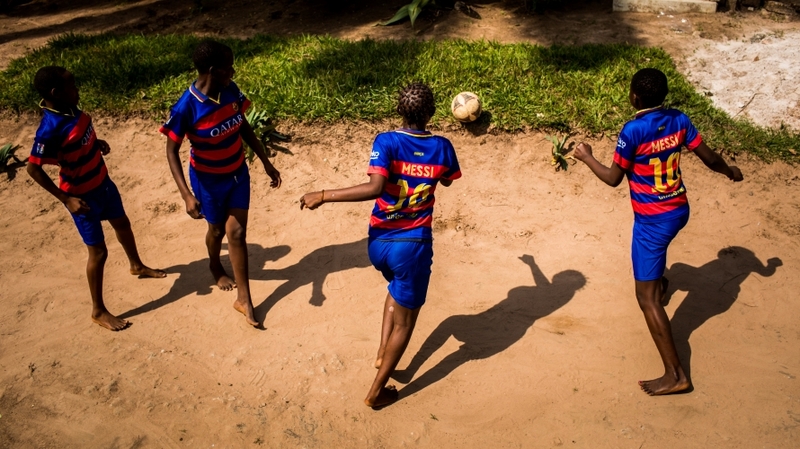 UNICEF Innocenti has initiated a new research project looking to fill this gap by building an evidence base to support improved S4D programming and policy to increase the impact of sport beyond the playing field. Sport is a powerful communal experience, bridging boundaries of language, religion and culture; engaging billions of supporters and participants. Beyond physical well-being, UNICEF has long recognized that sport can have many additional beneficial effects for children. In fact, Article 31 of the Convention on the Rights of the Child enshrines the right of every child to play and recreational activities in a safe and healthy environment. S4D is the use of sport as an instrument to positively impact social and personal development. Various S4D initiatives aim to achieve different objectives. Some initiatives aim to engage youth in sport to keep them away from harm, while others use sport to provide psycho-social support for children traumatized by war, disaster or exploitation. Still others use sport to engage youth and stimulate positive development of values, attitudes, and behavior. Harnessing the power of S4D has many benefits when designing practices and policies, not least its relatively low cost and easy incorporation into existing programmes at all levels. However, sport remains an untapped tool for making positive change for children on a larger scale. Currently, a myriad of organizations use S4D initiatives to achieve positive child outcomes. The closure of the United Nations Office of Sports for Development and Peace in 2016 left a vacuum in the sector and reduced coordination between key S4D actors. While there are over 550 registered organisations, there is a lack of rigorous evidence on their impact. Action surrounding S4D outpaces the evidence base to support it. Unlocking the potential of S4D – and the investment to support it – requires quality evidence. During a physical training session, a group of Yemeni child practice self-defence techniques at UNICEF safe space for youth at Markazi camp for Yemeni refugees. Djibouti. Additionally, the research will identify both limitations and best practices in monitoring and evaluating S4D programmes and initiatives. The aim of this exploration is to identify the most effective initiatives, and the reasons for their success. This evidence base can help to harness the power of sport to transform the lives of children. The universal appeal of sport provides an important advantage for S4D based efforts to motivate, inspire and mobilise communities. UNICEF Innocenti’s research aims to provide a more consistent definition of S4D for the many organisations who are already using sport to improve children’s lives, as well as evidence to help governments position sport as a viable development initiative. S4D can help ensure that even the most marginalized children in the world can reach their full potential. UNICEF Innocenti’s research on S4D is led by Dominic Richardson, Senior Education Specialist, and is supported by education expert, Juliana Zapata. UNICEF has long recognized that there is great value in children’s sport and play, and has been a consistent proponent of these activities in its international development and child protection work. Health, educational achievement and social benefits are just some of the many desirable outcomes associated with organized physical activity. During recent years, however, it has become evident that sport is not always a safe space for children and that the same types of violence and abuse sometimes found in families and communities can also occur in sport and play programmes. The research presented in this publication shows a lack of data collection and knowledge about violence to children in sport, a need to develop the structures and systems for eliminating and preventing this form of violence, and that ethical guidelines and codes of conduct must be established and promoted as part of the prevention system. This paper presents a secondary analysis of supporting documents from the UN Study on Violence against Children. The purpose of the analysis is to identify sport-related material in the documents and gaps in research knowledge about the role of sport in both preventing and facilitating violence against children. This is a complementary document to the IRC study ‘Protecting Children from Violence in Sport: A review with a focus on industrialized countries’ (forthcoming in 2010), developed by the same research team.